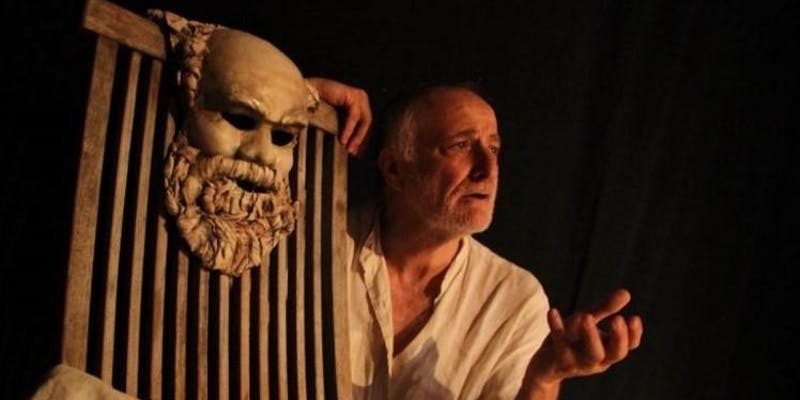 Yannis Simonides' "Socrates Now" is an engaging solo performance that captures the essence of Socratic ethics and relates them to today's political and moral discourse. Take a seat in the court of ancient Athens as Socrates goes on trial for his life, while considering his arguments on virtue, justice, politics, corruption, and how the role of the citizen and free speech are entwined in it all. After critically acclaimed performances at the United Nations, NBC's Today Show, and the Athens Agora, Mr. Simonides brings his show live to Solid State Books on H Street for an evening that will feature the 80-minute play and an ensuing discussion with the actor. This event is in collaboration with the Embassy of Greece. The play is free, but registration is required. The program will begin at 6:00 PM. Refreshments will be available for purchase from Solid State Books. Please note the event may be filmed or photographed.